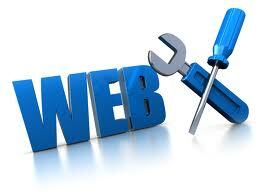 To have our web site for the world to see, we have to keep it on a web server. Our web browser software was talking to our web server just now to retrieve and display this web page on our user screen. Most small businesses and companies store their web site on a server provided by a Internet Service Provider as we did. Hardware Expenses: To run a “real” web site, you will have to buy some powerful hardware. Don’t expect that a low cost PC will do the job. You will also need a permanent (24 hours a day) high speed connection to your office, and such connections are expensive. Software Expenses: Don’t forget to count the extra cost for software licenses. Remember that server licenses often much higher than client licenses. Also note that some server software licenses might have limits on number of concurrent users. Labor Expenses: Don’t expect low labor expenses. Remember that you have to install your own hardware and software. You also have to deal with bugs and viruses, and keep your server constantly running in environment where “everything could happen”. Connection Speed: Most providers have very fast connection to the Internet, like full T3 fiber optic 45Mps connections equivalent to about 2000 traditional (28K) modems or 1000 high speed (56K) modems. Powerful Hardware: Service providers often have many powerful web server that can be shared by several companies. You can also expect them to have an effective load balancing, and necessary backup servers. Security and Stability: Internet Service Providers are specialists on web hosting. Expect their server to have more than 99% up time, the latest software patches, and the best virus protection. 24-hour support: make sure your Internet service provider offers 24-hours support. Don’t put yourself in a situation where you cannot fix critical problems without having to wait until the next working day. Toll free phone could be vital if you don’t want to pay for long distance calls. Daily Backup: Make sure your service provider runs a secure daily backup routine, otherwise you may lose some valuable data. Traffic Volume: Study the provider’s traffic volume restrictions . Make sure that you don’t pay fortune for unexpected high traffic if your web site becomes popular. Bandwidth or Content Restrictions: Study the provider’s Bandwidth or content restrictions. If you plan to publish pictures or broadcast video or sounds, make sure that you can. Front Page Extensions: Make sure your provider fully supports Front Page server extensions if you plan to use Front Page to develop your site. Database Access: Make sure your provider fully supports the database access you need if you plan to use database from your site (You can read more about database access in a latter chapter). your site – including internet IP address – is stored on a DNS server. DNS stands for Domain Name System. A DNS server is responsible for informing all other computers on the Internet about your domain name and your site address. Domains can be registered from domain name registration companies. These companies provide interfaces to search for available domain names and they offer a variety of domain name extensions that can be registered at the same time. Domain name registration provides registration services for com net org.biz info us nu.w5 cc and .tv domains. Newer domain extensions such as biz info and us have more choices available as many of the popular domains have yet to be taken. While com and net domains are well established and recognized, most popular domains with these extensions are already registered. Choosing a domain is a major step for any individual or organization. While domains are being registered at a record, new domain extensions and creative thinking still offer thousands of excellent choices. While selecting a name it is important to consider the purpose of a domain name, which is to provide people an easy way to reach our web site. The best domains have the following characteristics: Shod-People don’t like to type! The shorter your domain, the easier it is to reach and the less are the chance the user we make a typographical error while typing it. Meaningful – A short domain is nothing without meaning, 34i4nh69.com is only 8 characters long but would not be easy to enter or remember. Select a domain that relates to your site in a way that people will understand. Clear – Clarity is important when selecting a domain name. You should avoid selecting a name that is difficult to spell or pronounce. Also, pay close attention to how your domain sounds and how effectively it can be communicated over the phone. Exposure: Just like premium real – estate on the ground that gets the most exposure, names that are short and easy to remember are an asset. Search engines index your site and rank it for relevance against terms people search for online. In order to maximize your site exposure, consider including a relevant search term in your domain. Of course, this should also be considered if it still maintains a short, clear and meaningful domain. Most people are unaware but they already use sub domains on a daily basis. The famous “www” of the World Wide Web is the most common example of a sub domain. Sub domains can be created on a DNS server and they do not need to be registered with a domain registered, of course, the original domain would need to be registered before a sub domain could be created. Common examples of sub domains used on the internet are http://store.apple.com and http://support.microsoft.com. Sub domains can be requested from web hosting provider or created by own if you manage your own DNS server. Some providers will offer you a unique name under their own name like : http://www.theircompany.com/yourcompany/ . This is not a real domain name, it is a directory – and you should try to avoid it. These URLs are not desirable, specially for companies. Try to avoid them if you can afford to register a domain. Typically these are more commonly used for personal sites and free sites provided by your ISP, you may have seen http://www.theircomprny.com/-username as a common address, this is just another way to share a single domain and provide user their own address. Open competition in domain name registration has brought about a dramatic decrease in pricing so domain sharing is far less common since people can register their own domains for only $15 per year. Another source for domain registrations is expired domains. When you register a domain, think of it as a rental, assuming there are no legal or trademark issues with the domain name, you are free to use it as long as you continue to pay yearly fee ( you can now also register in advance as many as 10 years ). Some people register domain as speculators, hoping that they can later sell them, while others may have planned to use a domain and never had the time. The result is that domains that were previously registered regularly become available for registration again. You can see, and search through a list. Before you sign up a contract with any hosting provider, surf some other web sites on their servers, and try to get a good feeling about their network speed. Also compare the other sites against yours, to se if it looks like you have the same need. Connecting some of the other customers is also a valuable option. Our ISP’s Server connection speed is OC-12 type ( Optical Carrier ) which is 622 Mb speedy. Most common is to use the first name or first initial and last name. POP stands for Post Office Protocol. POP is a standard client/server protocol for sending and receiving email. The emails are received and held on your internet server until you pick it up with a client email program, like Outlook, Outlook Express, Netscape Messenger, etc. POP email programs are built into Netscape and Internet Explorer browser (i.e. Microsoft Outlook Express) . Yes in our Hosting plan we have POP Email services. IMAP stands for Internet Message Access Protocol. IMAP is another standard protocol for sending and receiving email. The email are received and held on your internet server until you pick it up with a client email program, like Outlook, Outlook Express, Netscape Messenger, etc. IMAP represents an improvement over POP because email stored on an IMPA server can be manipulated from several computers ( a computer at home, a workstation at the office , etc ) without having to transfer messages back and forth between computers. POP was designed to support email access on a single computer. Currently this feature is disabled in our hosting plan but we are looking towards. Web based email services enable you to access email via a web browser. You log into your email account via the web to send and retrieve email. Being able to access your email from any browser from anywhere in the world is a very attractive option. Yes we have this service also. Some service providers offer mailing capabilities. This is a valuable plus if you plan sending out email to a large number of users. Our Hosting plan include this service also. Windows Hosting: Windows hosting means hosting of web services that runs on the Windows operating system. You should choose Windows hosting if you plan to use ASP ( Active Server Pages) as server scripting, or if you plan to use a database like Microsoft Access or Microsoft SQL Server. Windows hosting is also the best choice if you plan to develop your web site using Microsoft front page. UNIX Hosting: Unix hosting means hosting of web services that runs on the UNIX operating system. UNIX was the first ( original ) web server operating system, and it is known for being reliable and stable. Often less expensive than Windows. Linux Hosting: Linux hosting means hosting of hosting of web services that runs on the Linux operating system. CGI: Web pages can be executed as CGI scripts. CGI scripts are executable that will execute on the server to produce dynamic and interactive web pages. Most Internet service providers will offer some kind of CGI capabilities. And many will offer preinstalled, ready to run, guest-books, page-counters, and chat-forums solutions written in CGI scripts. The use of CGI is most common on UNIX or Linux servers. Chili! Soft ASP: Microsoft’s ASP technology runs only on Windows platforms. However Chili! Soft ASP is a software product that allows ASP to run on UNIX and some other platforms. JSP: JSP is a server side technology much like ASP developed by Sun. With JSP you can create dynamic web pages by putting Java code inside your HTML pages. The code is executed by the web server before the page is returned to the browser. Since JSP uses Java, the technology is not restricted to any server-specific platform. Front Page: Front Page is a very common web site design tool developed by Microsoft. Front Page allows user to develop a web site without any deep knowledge of web development. Most Windows hosting solutions support Front Page server extensions for users that use Front Page to develop their web site. If you plan to use Front Page, you should look for a Windows hosting solutions ( meaning not UNIX / Linux ). PHP: Just like ASP, PHP is a server side scripting language which allows you to create dynamic web pages by putting script code inside your HTML pages. The code is executed by the web server before the page is returned to the browser. Cold Fusion: Cold Fusion is another server side scripting language used to develop dynamic web pages. Cold Fusion is developed by Macromedia. We used PHP Scripting and Windows Based hosting. Web Database: If your web site needs to update large quantities of information via the web, you will need a database to store your information. There are many different database systems available for web hosting. The most common are MS Access, MySQL, SQL Server, and Oracle. Using the SQL Language: SQL is the language for accessing database. If you want your web site to be able to store and retrieve data from a database, your web server should have access to a database system that uses the SQL language. SQL Server: Microsoft’s SQL Server is one of the most popular database software for database-driven web sites with high traffic. SQL Server is a very powerful, robust and full featured SQL database system. Oracle: Oracle is also a very popular database software for database-driven web sites with high traffic. Oracle is a very powerful, robust and full featured SQL database system. Access: When a web site requires a simple database solution, Microsoft Access is a very popular option. Access is not well suited for very high traffic, and not as powerful as Oracle or SQL Server. MySQL: MySQL is also a popular database software for web site. MySQL is an inexpensive alternative to the expensive Microsoft and Oracle solutions. We used MySQL database as it is inexpensive but robust and faster. Free Hosting: Some service providers offer free web hosting. Free web Hosting is best suited for small sites with low traffic, like family sites or sites about hobbies. It is not recommended for high traffic or for real business. Technical support is often limited and technical options are few. Very often you can not use your own domain name at site. You have to use a name provided by your host like http://www.freesite/users/-yoursite.htm. This is hard to type, hard to remember, and not very professional. solutions like email, database, and many different editing options. Technical support tends to be good. Dedicated Hosting: With dedicated hosting your web site is hosted on a dedicated server. Dedicated hosting is the most expensive form of hosting. The solution is best suited for large web sites with high traffic, and web sites that use special software. You should expect dedicated hosting to be very powerful and secure, with almost unlimited software solutions. Collected Hosting: Collection means “co-location”. It is a solution that lets you place ( locate ) your own web server on the premises (locations) of a service provider. This is pretty much the same as running your own server in your own office, only that it is located at a place better designed for it. Most likely a provider will have dedicated resources like high security against fire and vandalism, regulated backup power, dedicated Internet connection and more. The hosting type suits your current needs. The hosting type is cost effective. Upgrading to a better server is a possible solution. If needed, upgrading to a dedicated server is possible. Before you sign up a contract with any hosting provider, surf some other web sites on their servers, and try to get a good feeling about their network speed. Also compare the others sites against yours, to see if it looks like you have the same needs. Contacting some of the other customer is also a valuable option . What Type Hosting we choose? Web Access: Some free hosting services allow users to upload their files on the server by the host’s web page. FTP: FTP stands for File Transfer Protocol, simple, huh. It’s how your files get from your computer to another one. The nice thing about FTP is that you both don’t have to be the same platform. You can be running a Mac and send your files to UNIX, as long as it’s running FTP server software. How We Upload Our Site? We uploaded our site by using FTP software. There are lots of ways to do it. AOL press FTP’s your files when you publish and so does Netscape Gold with it’s page editor. With the IE 5 browser and Netscape 3+ you can upload individual files. But the easiest way I have found is with a program called CuteFTP. CuteFTP has an easy GUI ( Graphical User Interface ), modeled after Windows File Manager but with all the later convinces such as toolbars and context sensitive help. Copywriting, banner ad, opt-in email, client retention marketing, affiliate programs, press releases, sponsorships, strategic domain purchasing and much more. Promotion begins at the planning stage. What will the web site offer? Who are our competitors? What type of customers will use the product or service? What keywords will they type to find our web site? These factors will need to be accessed when hunting for a domain name, creating the initial marketing plan and building the web site. Before we do anything, we considered how we plan to hit the Internet. We considered how the name can affect our search engine rankings. When picking out a domain name it is important to note how search engine give weight to these names and most list them alphabetically. Finding a domain name may not be as easy as it seems. Before registering the domain name, we made a list of 10 of our top keywords. Make sure they are words that our customers would consider. Considered short 2 or 3 words phrases. Then start checking them with Internet to see if they are available. And thus we choose current domain. Before we register the domain name, we collected the DNS information from the hosting company that we are plan to use. This can be easily transferred if we later decide to use a different host. Continue our marketing plan by sketching out some general goals based on our financial abilities and advertising possibilities. Settled ourselves a realistic budget. Partial percentage can come from money generated from the web site to be reinvested, but a consistent base should be allocated aside from this. Now we have a good plan, we started to look for a notable web design. When hunting, some things to consider include example of work, dependability of server, length of time in business, references, storage limits and of course the cost involved. The days of rushing onto the web are over. Justification of why we are on the web is what’s important now. With so many web sites out there, visitors are making judgment calls in click of a mouse. If we do not have what they the are looking for, or appear to have it, we will loose. Good web design encompasses fast loading graphics, a clean design look, informative content and keyword optimized text and Meta tags. Some common design issues that affect marketing including frames, java, misleading and poor design. Frames: Some major search engines have difficulty speeding through framed sites because they are actually a composite of multiple pages. Java: While Java can make wonderful effects, it is important to note that some spiders start allocating keyword weight and relevancy to the first information to the body tag. If java appears here, it can lower the relevancy and importance of your keywords. Design and Copy: Some important directories such as Yahoo and Open directory will review our site by hand. If they feel the site doesn’t meet their standards, our site will not be added. Robots, Spiders, Crawlers, Worms, Ants and Agents are all referred to as the software that visits suggested page and returns the appropriate information to be indexed by the search engine. Submitting to Yahoo and other directories is somewhat of a different process. The best technique is to prepare a short description of less than 150 characters, a brief title that should reflect the company name or the main title on the home page, and a list of best 6 keywords. If at first we don’t succeed, we will try again. Yahoo prefers resubmits no earlier than 4 weeks after the first submission. If no luck after the second submission, we have to wait another 4 weeks and send a polite email with your information to L ILL. If no results, we have to repeat this process from the beginning and remember to wait at least 4 weeks between requests. Strategic link build traffic to our web site by creating a sense of community and establishing our business as an authority or reference point for information on our industry. When researching other web sites for possible link requests, consider the benefits and consequences of offering reciprocal links. If we provide links to competitor web sites, we may be pointing our hard-eamed traffic an leads to someone else’s web site. However that same competitor may be providing us with just as many leads. In many industries ,each company specializes in a certain fact. By offering links to other industry or interest related sites, we want actually add value to our site and prompt the visitor to bookmark our site for future reference. Developed a strategic plan for advertising our web site. Consider different methods based on our target market. Online Advertising offers the unique ability to reach and interact with a large, targeted market via their media. No other advertising medium can offer the flexibility, accessibility and convenience of the Internet. Paid links are available on industry related web sites, usually in the form of referred listings. Press Releases provide newsworthy information that can be picked for newspaper, magazines and industry related web sites. Push technology presents information straight to the user by providing data the wants. Depending on our needs, there are several advertising options available to us. Finding which types best convey your message most effectively and offer the best return on investment takes some time and effective planning. Online advertising is, in most cases, the most cost effective method to generate traffic to web site. Building brand awareness and fostering relationships with our online client will encourage return visits and repeat business. Techniques range from newsletters to tank you notes. Should we forget about cultivating new customers? Of course not, but it is important to understand the extra values in retaining customers. Remember that as customer satisfaction increases, added marketing savings increases with word of mouth advertising. Lure them back with convenience and incentives. If they easily find what they are looking for and are given a good reason to return, they will be more likely to revisit our site. Bulletin Boards provide an outlet for customer questions and answers. They invite editable outside option and advice and we have one. Internet marketing should not be confined to just the Internet. Based on our target market, there are several offline areas that are imperative to include in our promotion efforts. These range from Billboards to Web Cards to Promotional items. When promoting our site, there are some important offline marketing areas to remember. Promotional items such as letterheads and business cards should always include our web site URL. In fact, any place our company phone number appears, so should your URL. Depending on your target market, other advertising media can extremely beneficial. Most advertising media such as radio, television, billboards and print can be targeted by geography and demographic.